In-stock and semicustom kitchen cabinets and countertops come in a few standard sizes, but custom options also are also available to create a functional kitchen that maximizes workspace. 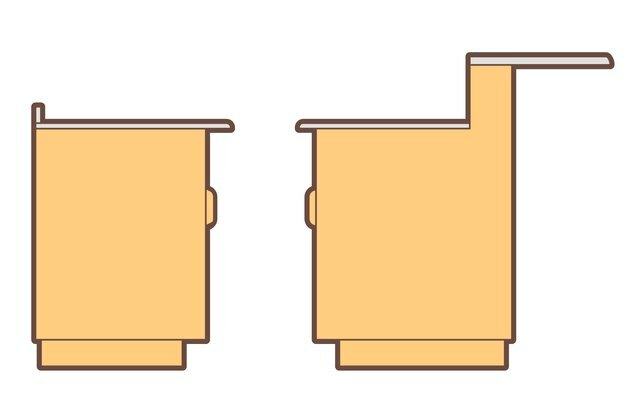 Kitchen islands tend to have more variable dimensions. 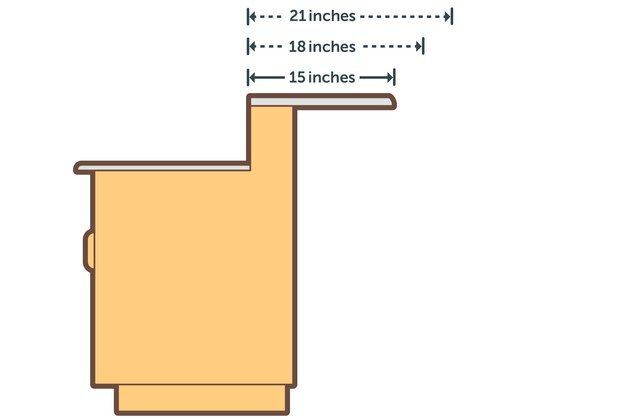 The standard width of a kitchen countertop from the wall to the edge of the counter is 25 1/2 inches, though some are 25 5/16 inches. The standard allows for a 1 1/2-inch overhang over 24-inch-deep base cabinets. Standard laminate countertops are usually sold with a 3-inch backsplash attached, which doesn't affect the overall depth of the countertop but only leaves about 24 inches of worktop space. Kitchen islands and peninsulas can use standard 25 1/2-inch counters, but wider options are available. 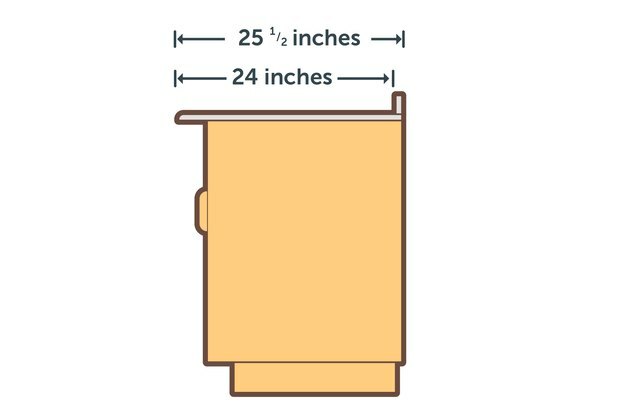 Standard 24-inch cabinets can support 27-inch and 36-inch countertops for more workspace. Extra-deep 48-inch island countertops are available, too, nearly doubling the standard countertop space. A bar top is another option that can be added on to a peninsula or island. 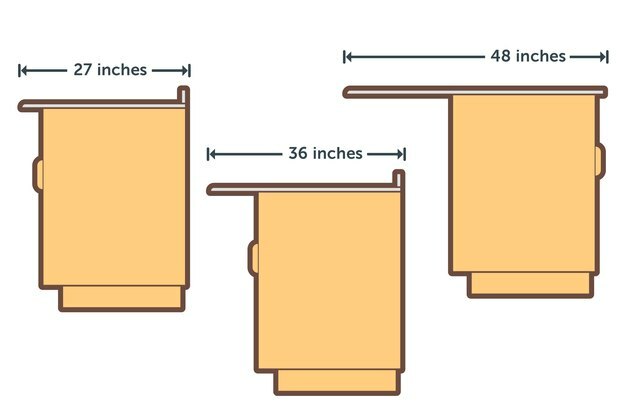 A 42-inch-high bar or eating area can be added onto the back of a standard kitchen cabinet with a 15-inch, 18-inch or 21-inch top depending on your available space. What Safety Tips Should I Use for My Compact Refrigerator?